To book an appointment to research Special Collections Material, please complete the Research Request Form, located above (on the blue bar). 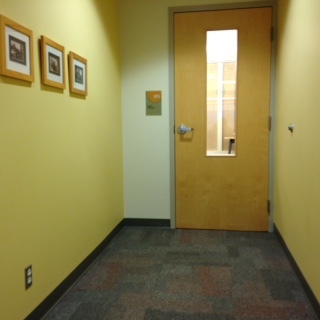 The entrance to the Special Collections is located on the main (3rd) floor of the VIU Library just past the Service Desk. 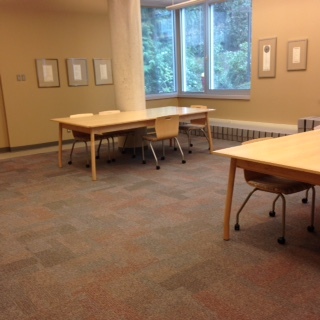 The Rotary Centennial Room, otherwise known as the Reading Room, is where researchers study and use Special Collections materials. 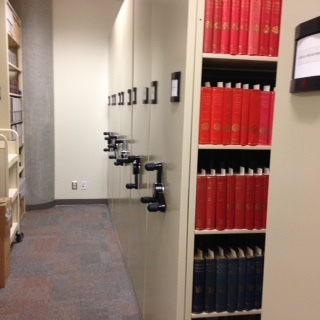 The William C. Wonders Collection refers to the 'vault' where the books and other materials are stored for both Special Collections and Archives. This is an example of compact storage with moving shelves.